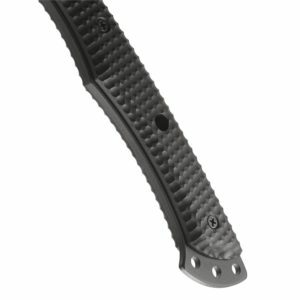 In my last post, I review the fabled CRKT Chogan so I thought it would only be fair if I then also reviewed its brother in arms, the Kangee T-Hawk from CRKT (well duh!). Both these beautiful T-Hawks are made by the same designer, Ryan Johnson. He has spent over thirty years perfecting the design of the tomahawk and has a very loyal and I must say quite large following amongst special forces soldiers who love the design and quality of his builds – something which should promote confidence within you. The Kangee is very similar to the Chogan in its design and materials used in almost every sense, except for the shape of the head. The Chogan features 3 sharpened edges on the head of the axe as well as a blunt flat end, whilst the Kangee features 4 sharpened edges. However, both are sensation T-Hawks and both will run you $100 each, so whilst not being that cheap they are going to provide you with unparalleled quality. Like the Chogan, the Kangee features SK5 steel which is high-quality high carbon steel. This is equivalent to 1080 steel. The blade on the Kangee is really easy to sharpen and has some great edge holding properties allowing you to keep it always sharp. With a utility weapon, throwing axe you are going to want the steel to be hard and able to take a beating due to the high number of impacts the steel will be going through. This is the case especially with an axe as you don’t want the steel to chip when you are using it. Luckily, the Kangee features 54-55 hardness meaning this is not going to be an issue. The top of the blade is also sharpened which allows you to have a higher chance of it sticking into its target when thrown and also gives you a wider edge to cut/slice with. You will really be finding 101 uses with this axe. 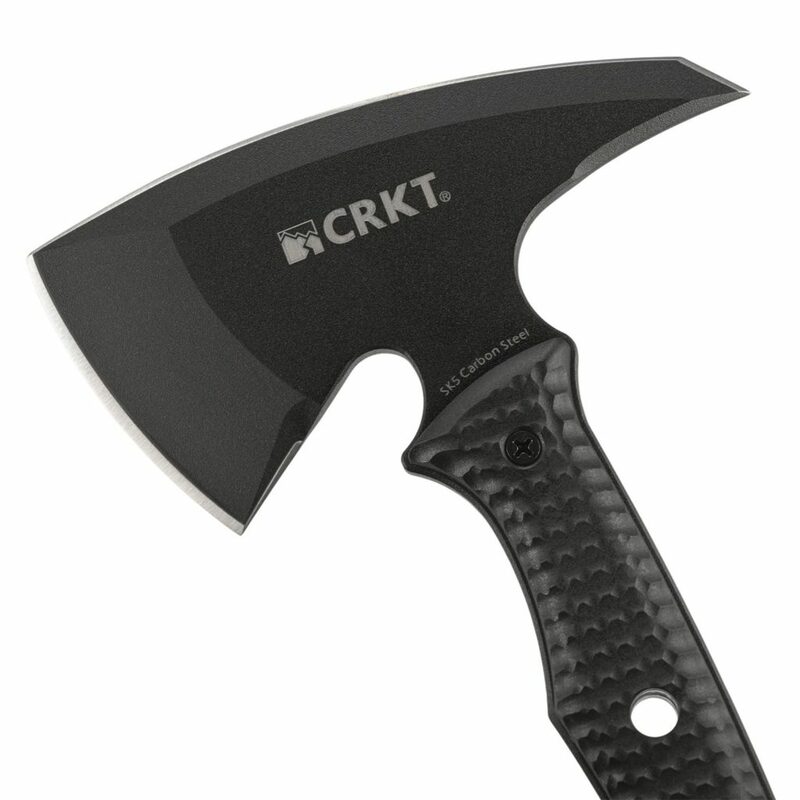 Like the Chogan, the CRKT Kangee features a full tang handle which is nearly a must when it comes to having a t-hawk. The handle is made out of glass nylon which is checkered and provides a nice solid grip. The grooves in the handle also allow you hold it in a variety of different positions and a variety ways. The balance of the axe is surprisingly good and allows for good swinging without you having to put in so much effort as the weight of the axe in the head allows you to get some momentum going. Overall, the CRKT Kangee is a sensational T-hawk and there is no surprise that many special forces units out there have their own. These are strong and robust axes which are going to serve you well in a variety of different ways so you definitely will not be disappointed with your purchase.